Today, I will talk about the second part of my article “Employee Relations & Retention”. 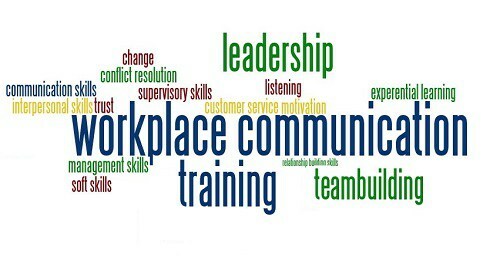 The first factor which help any organization to keep good employees and maintain working relationships at all level is “Fostering effective communication style”. So, what is effective communication and why is it important? During my mentoring process with my clients, I do ask executives and managers, what is standing in the way of better effectiveness in their businesses and, often, they will mention the need for better communication. And they are usually correct. Poor communication does account for a multitude of workplace woes, including interpersonal conflict, wasted money and effort, poor productivity, legal exposure, low morale and high turnover. Whether your organization has 5, 50, 500 or 5000 employees, the way it communicates will directly affect workers focus, morale and commitment. So, what is good communication? 1.What types of information should I be sharing with my employees? 2.How open and honest do I have to be? 3.What are the best methods of communicating to employees? 4.What are the best methods to get information from our employees? For fact, successful companies keep employees well informed by displaying copies of ads and press coverage on bulletin boards in break areas, through intranet or framed and hung on a wall. This practice helps to reinforce the company message and to demonstrate the company’s role in the industry and local community. There are some situations where you will not be able to pass of information because you are legally restricted from disclosures. But one thing to remember, “Never lie to employees or tell them half-truths”. If people ask you questions that you are unable to answer for reasons of confidentiality, don’t falsely tell them that you have no information on the subject. When they find out that you have been untruthful (and they always do), you will lose creditability in the long run. Instead, you might answer that you are not able to share the information at this time. Barring these restrictions, give employees the information they need to know to understand the business and direction of the company, and to be successful themselves. 2.Letters from the company President or MD. Whatever way you choose to communicate, always remember, your information should be concise, clear and transparent. And you should always give employees the opportunity to contact someone if they are unsure or wants to know more about the news or information that you have shared. 1.Encourage employees to ask questions. 2.Conduct employee focus groups and surveys about attitudes and opinions. You may be surprised by what you learn. 3.Have a process in place for employees to express grievances, and make sure you follow up correctly and in a timely manner. 5.Consider establishing an employee hotline run by an independent provider. 6.Be informal sometimes and talk to your employees. Build that relationship. Casual conversations can yield a lot of information. Managers shouldn’t sequester themselves in their offices. Here are the 4 factors that we should always consider carefully, if we want to foster an effective communication style in our workplace. My next article will talk about structuring correct reward and recognition program. If you would like to read more articles or contact David Deb for any assistance, please visit the link https://thementor-online.com/ and subscribe to his articles/blogs. David Deb has 14 years of rich and extensive experience in the corporate world as a senior executive, has led multinational corporations, entrepreneurs, professionals and many individuals in between to achieve their goals, vision and success. David has worked with people and businesses who wants to follow their dream and believe that they have born with a purpose. David is a full time mentor and an executive consultant who is exploring some of the reasons behind happy and productive individual life, how to create a successful career and how a 360 degree leadership style can directly motivate employees and impacts business financial results in a positive way. David has worked with a lot of Blue Chip clients from Australia, Malaysia, Indonesia, Philippines, USA and Germany. Alongside his career, David has a strong commitment towards world volunteer organizations. He is an associate ambassador of UNICEF, Red Cross and RSPCA.